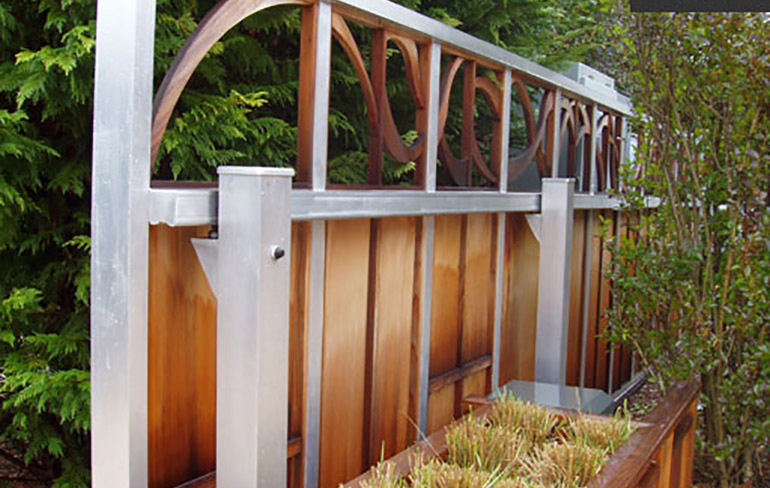 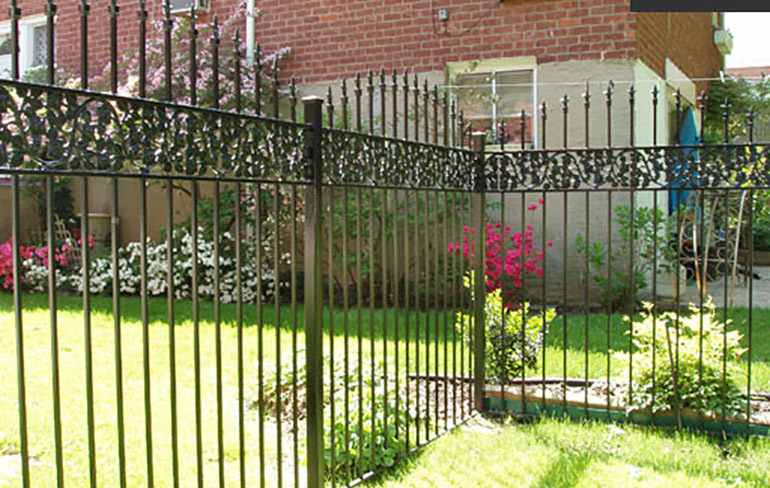 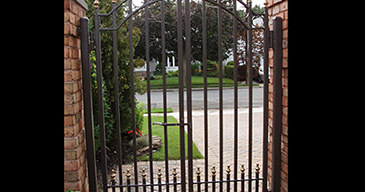 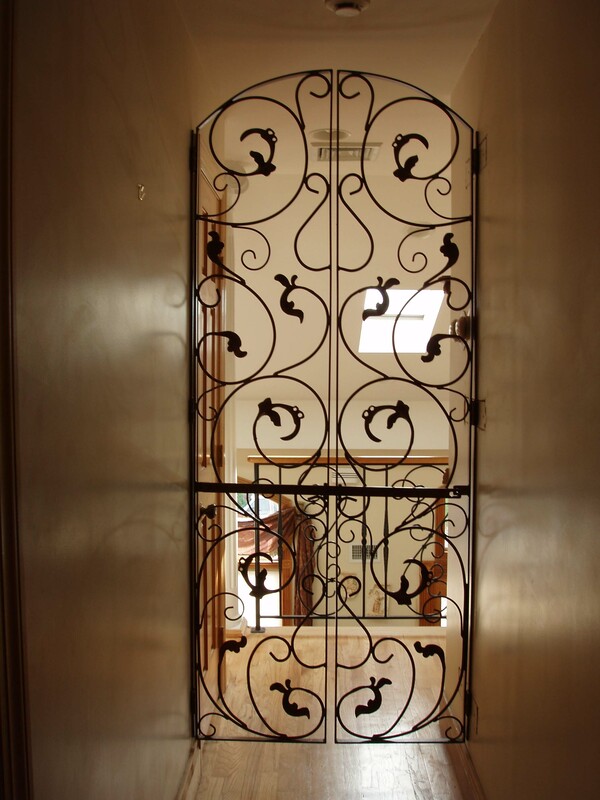 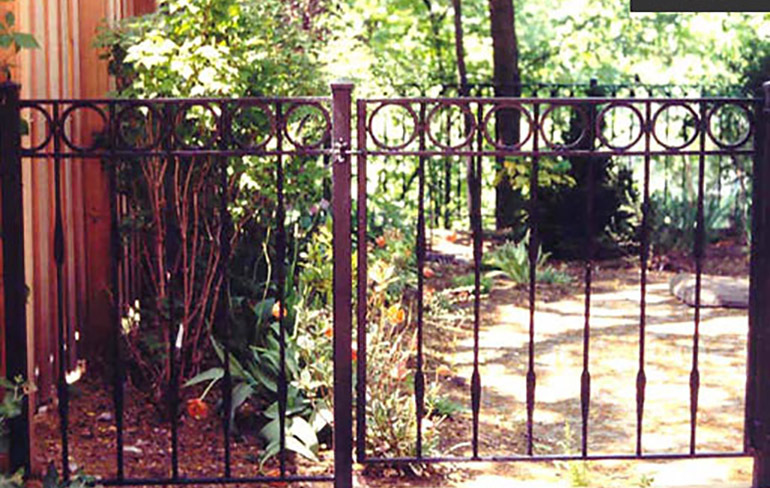 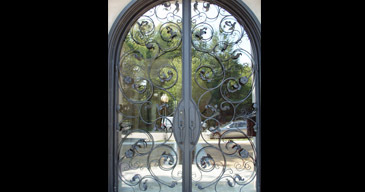 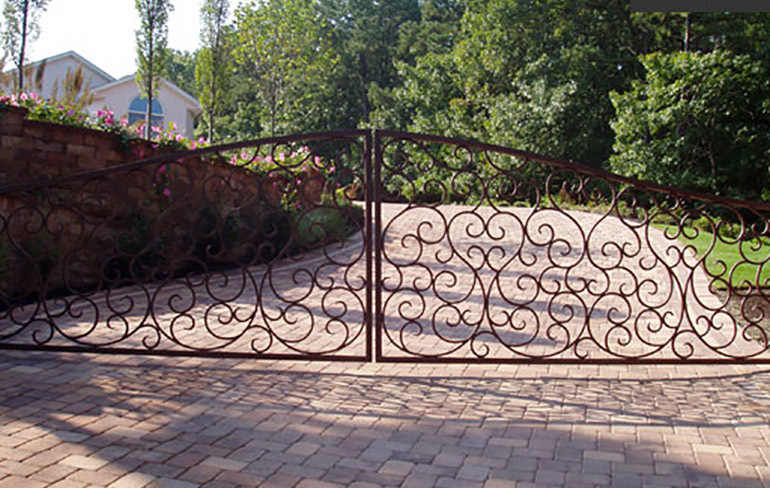 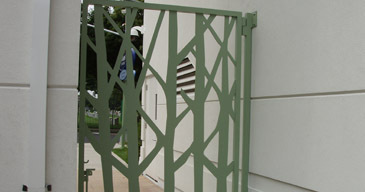 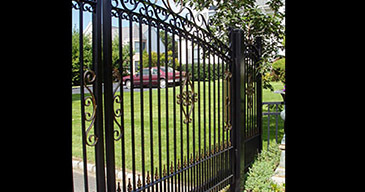 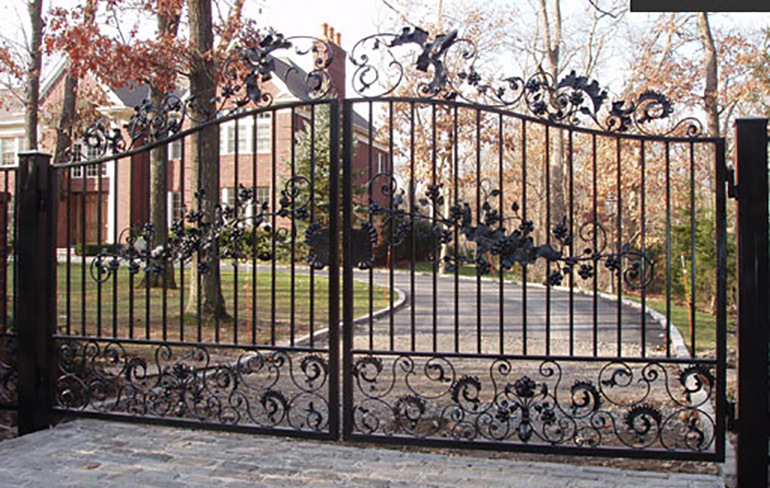 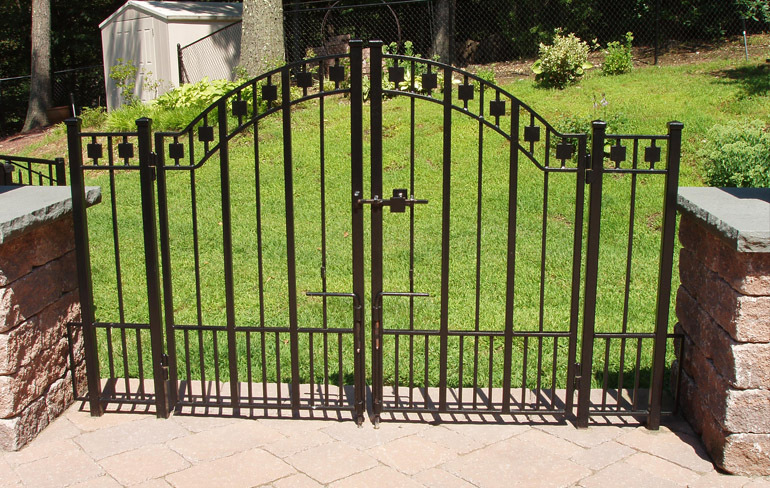 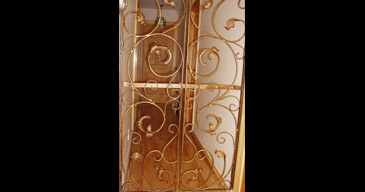 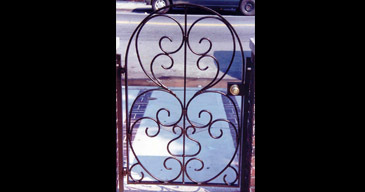 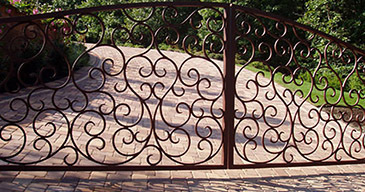 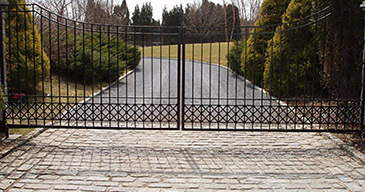 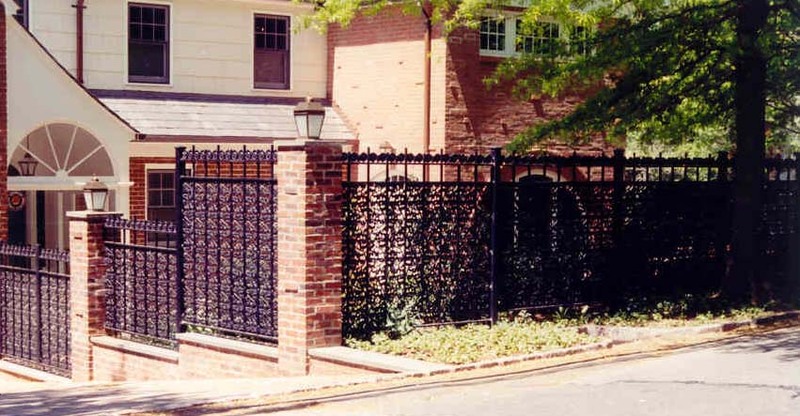 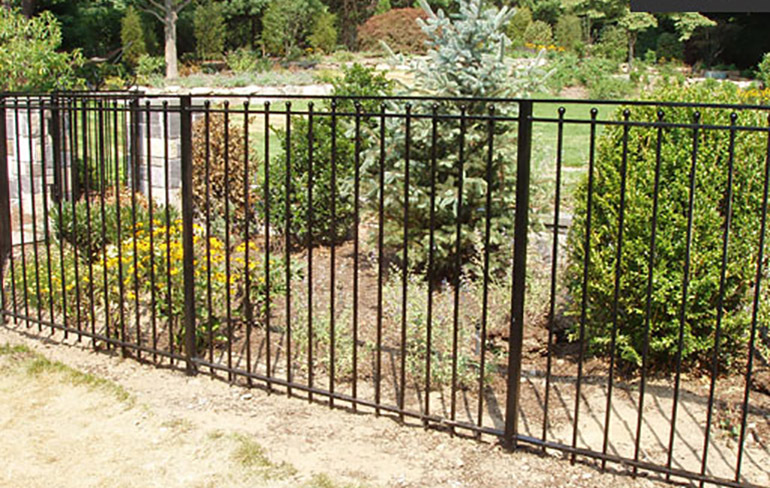 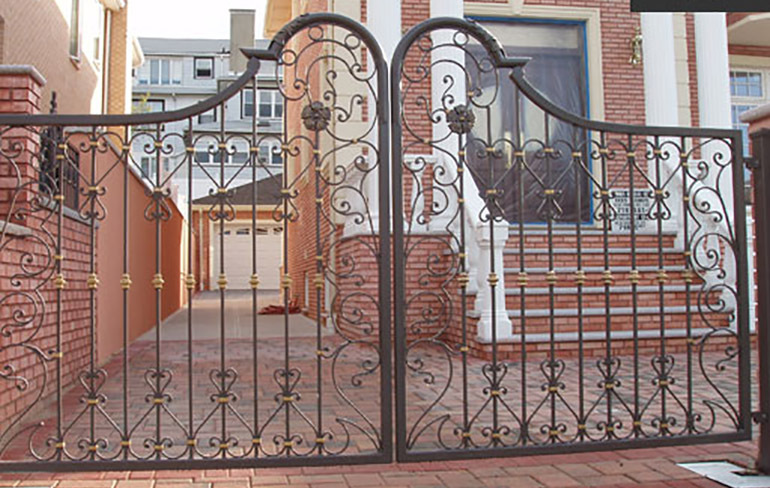 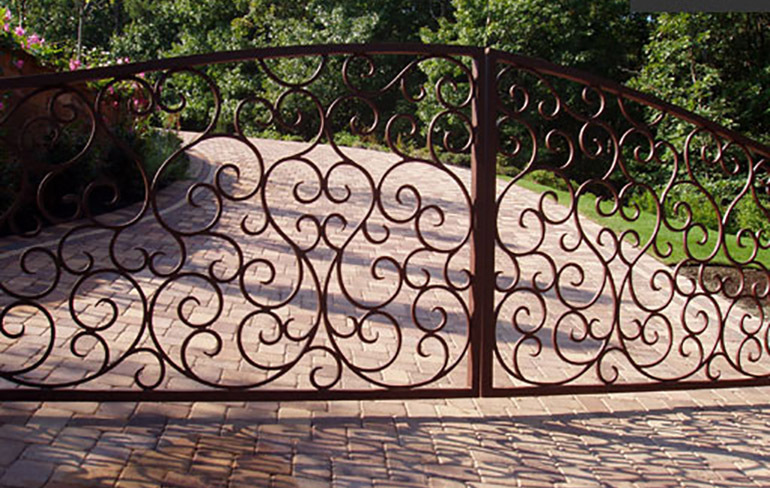 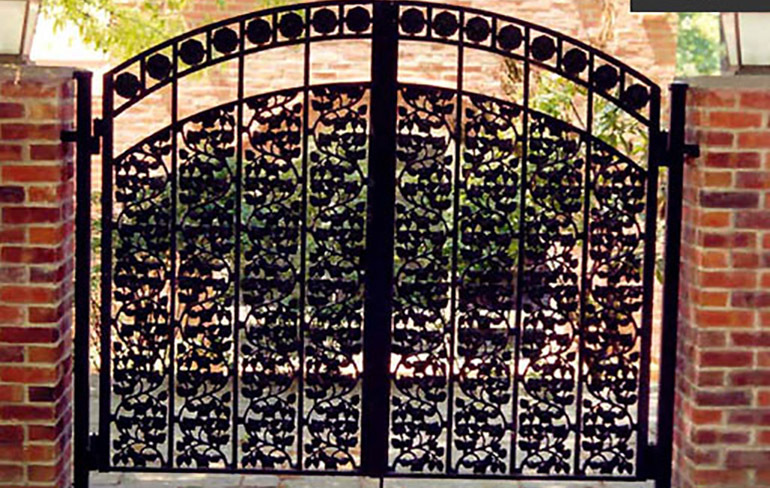 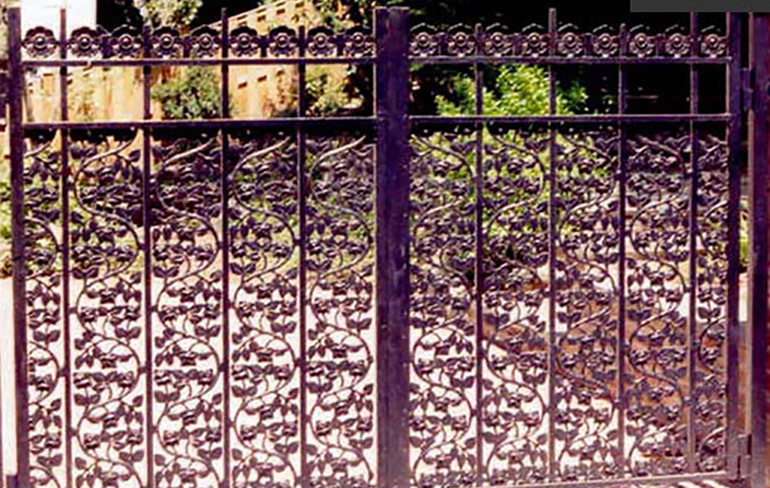 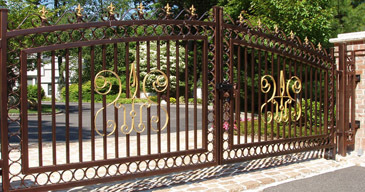 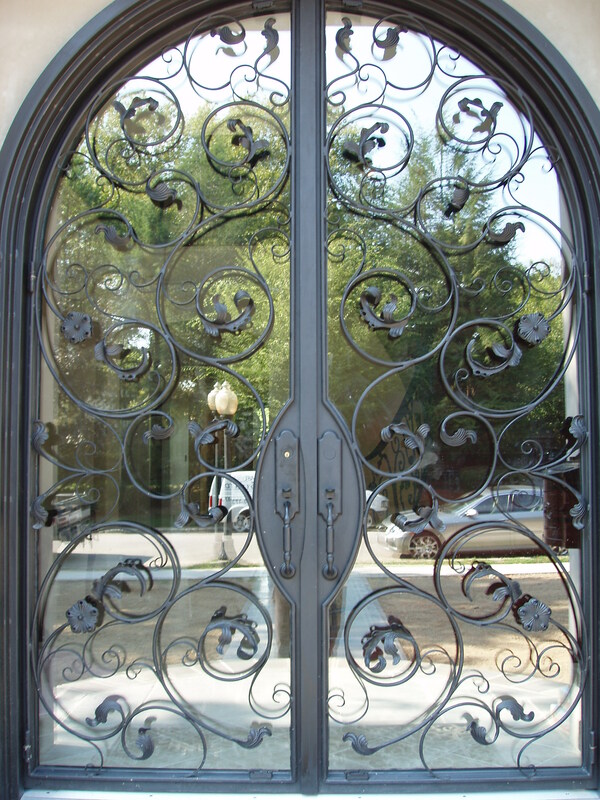 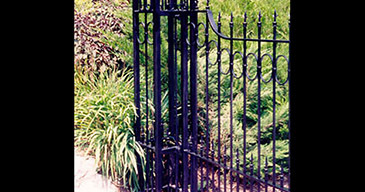 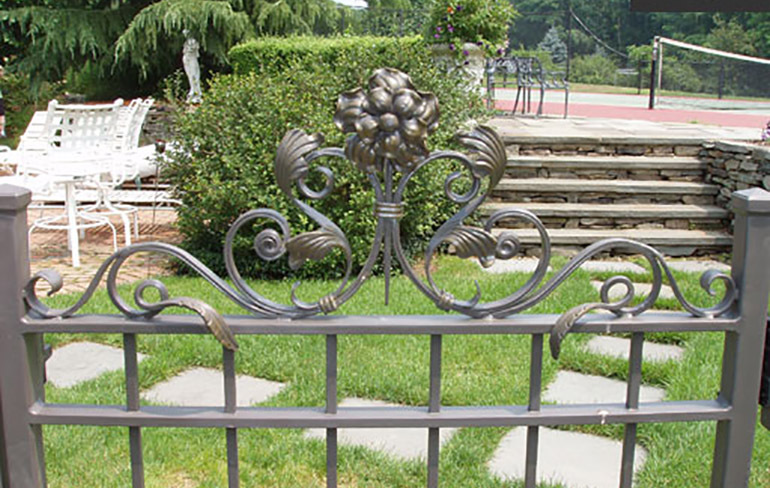 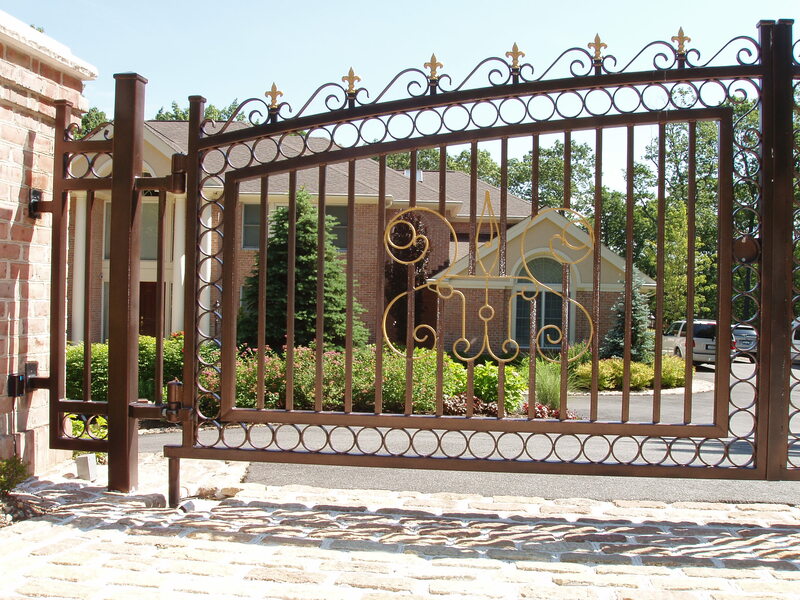 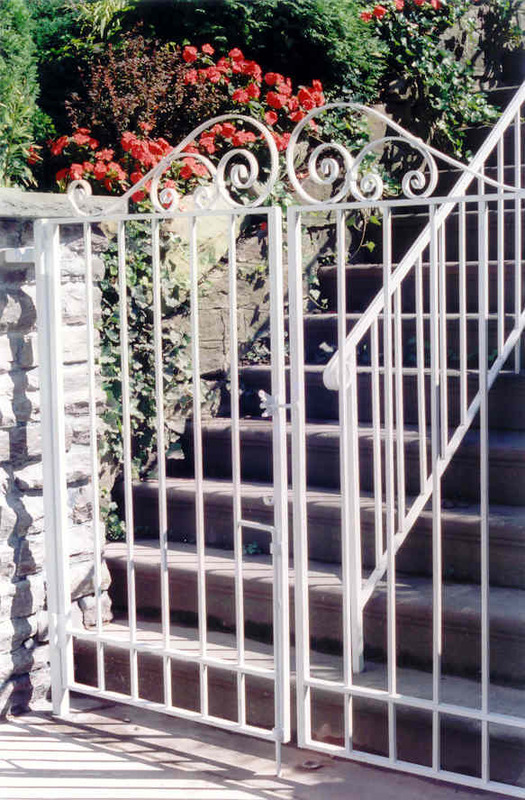 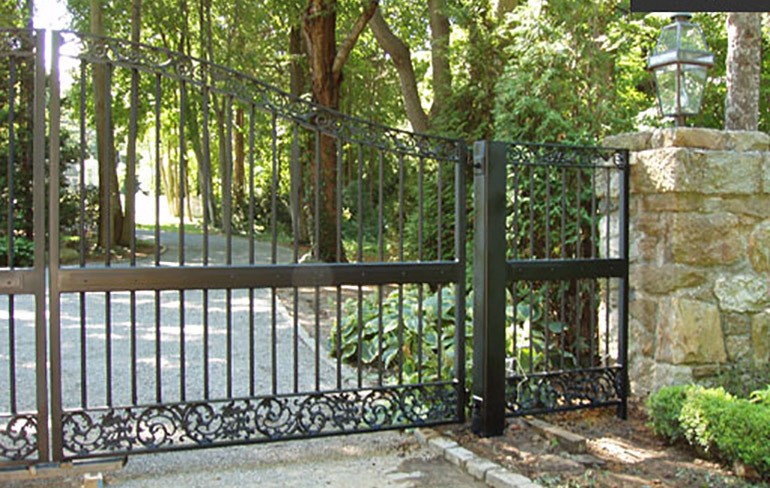 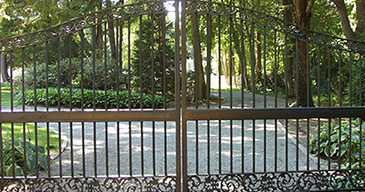 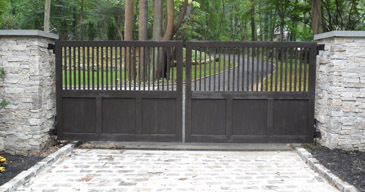 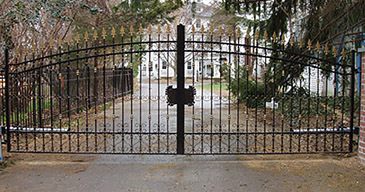 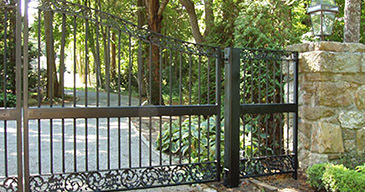 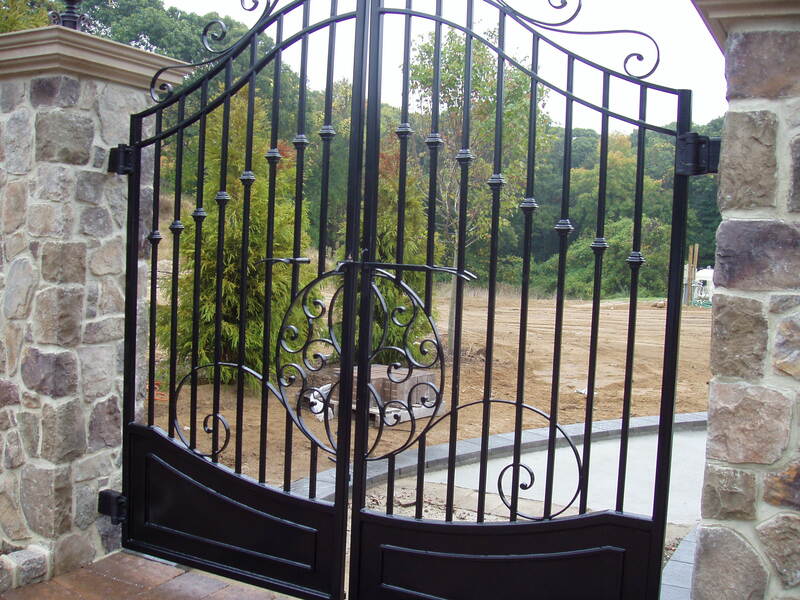 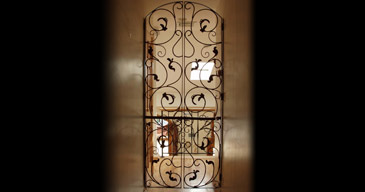 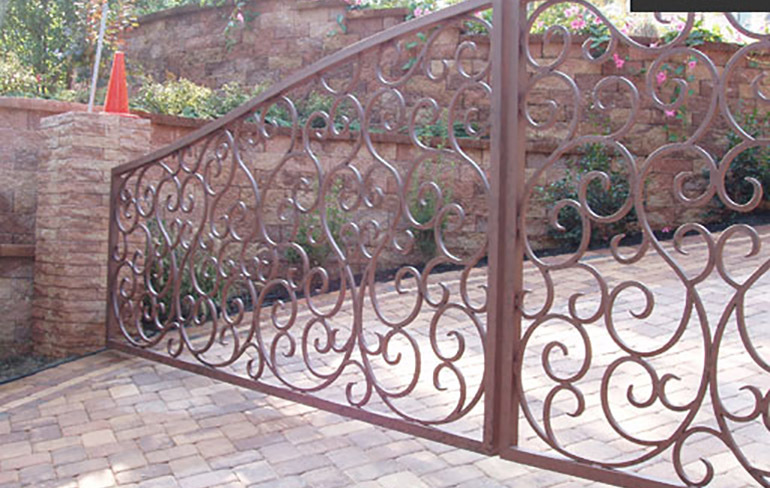 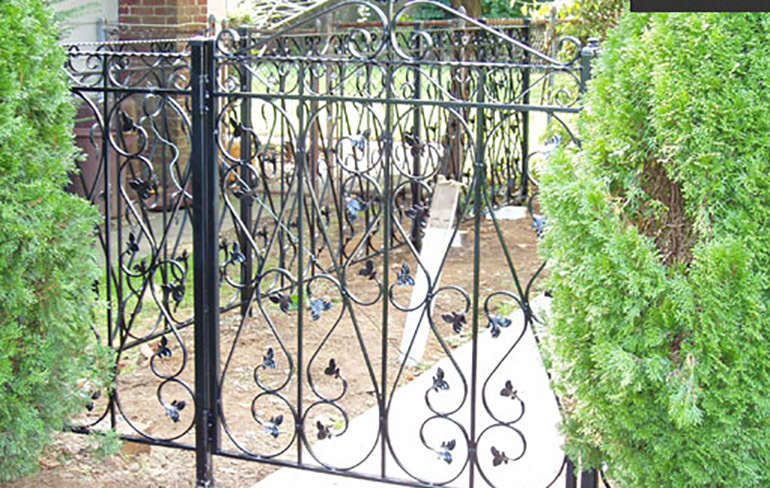 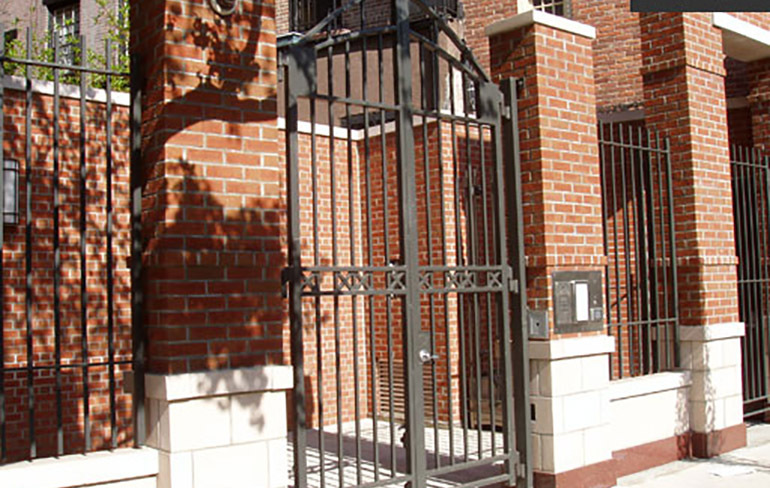 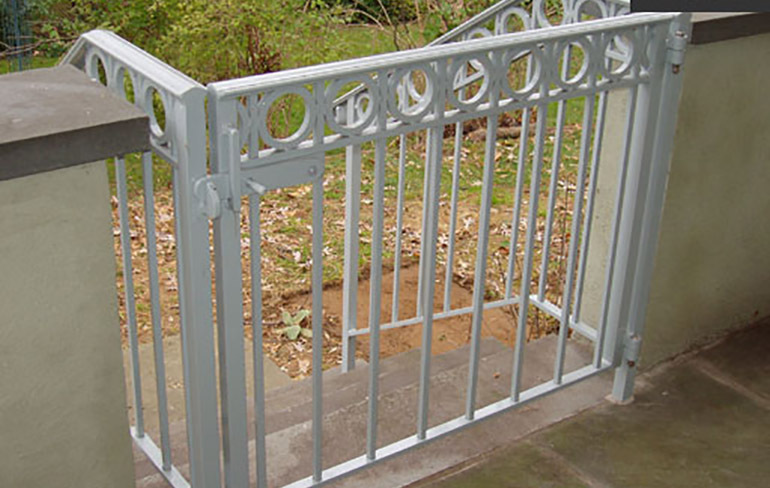 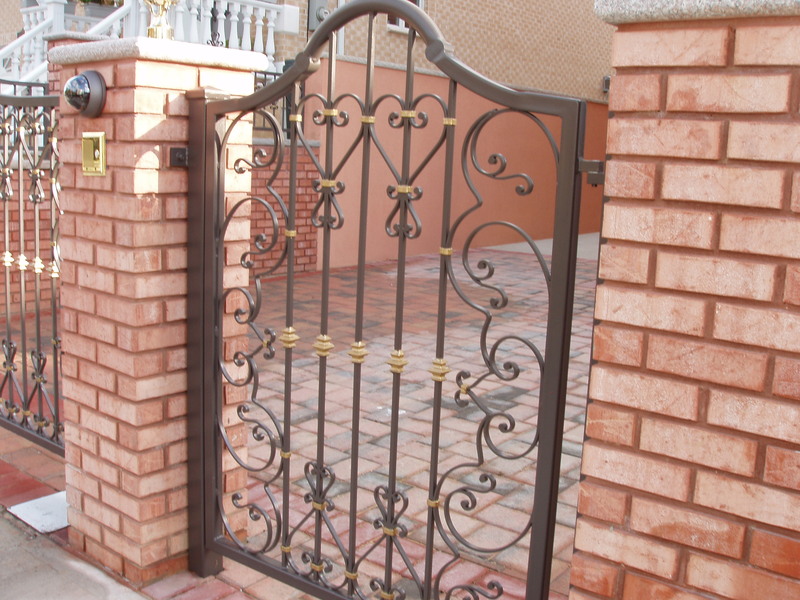 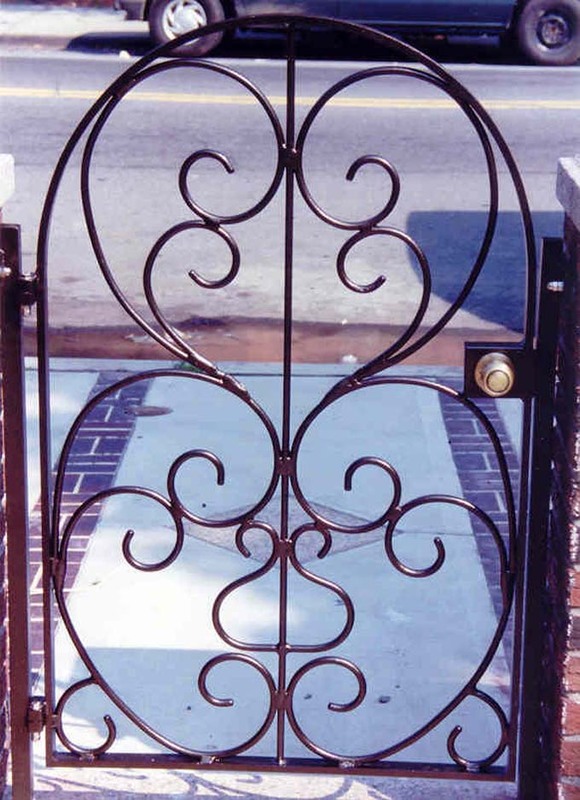 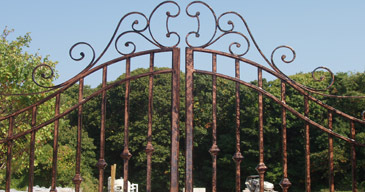 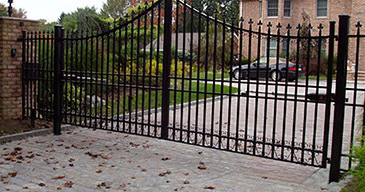 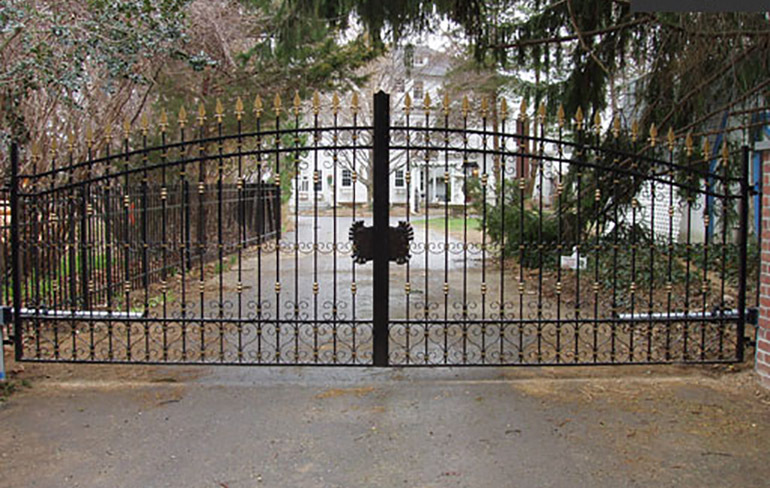 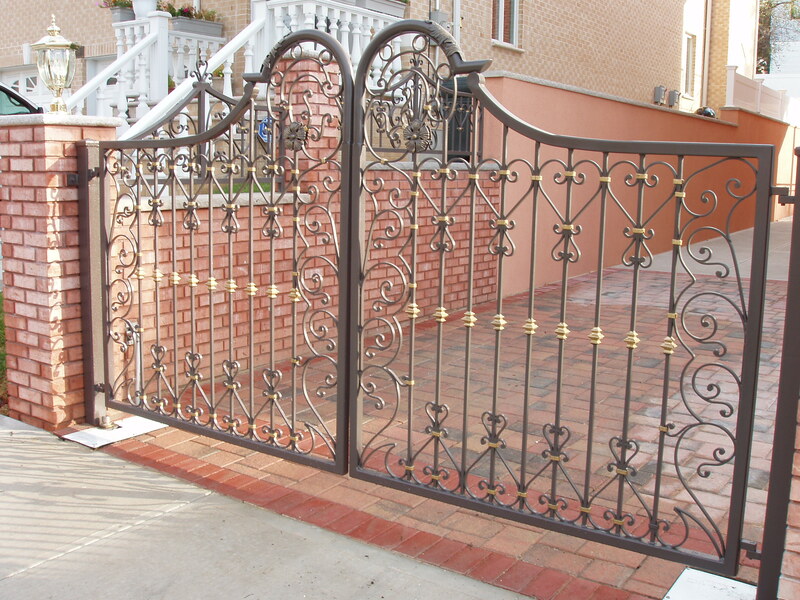 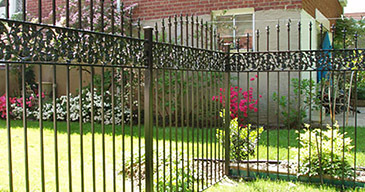 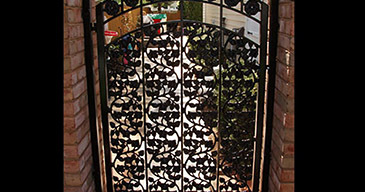 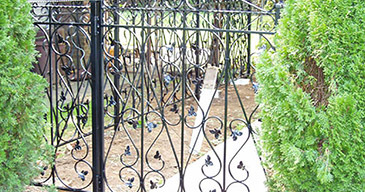 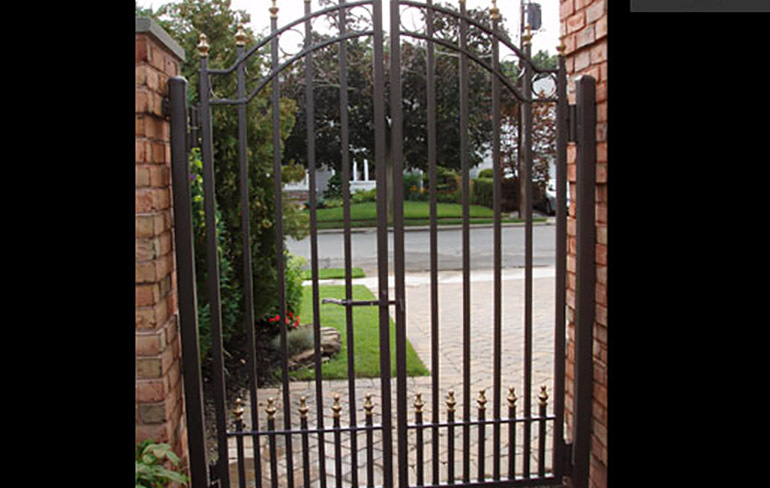 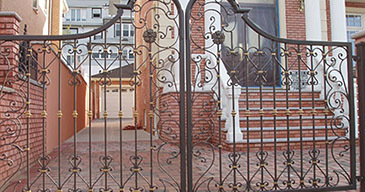 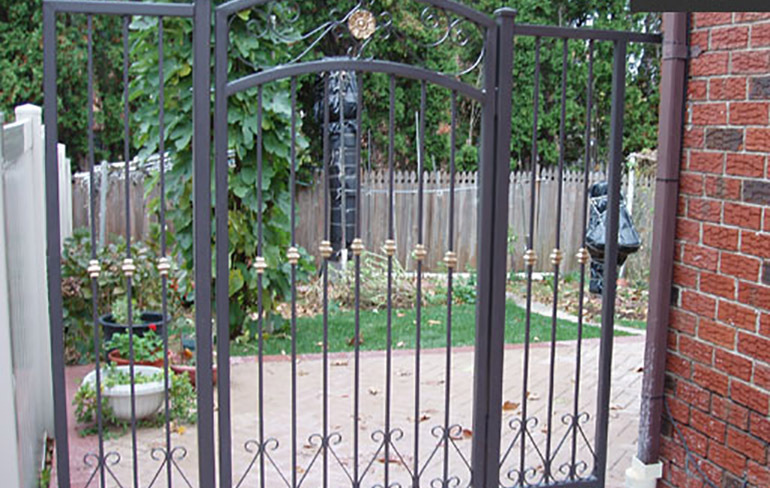 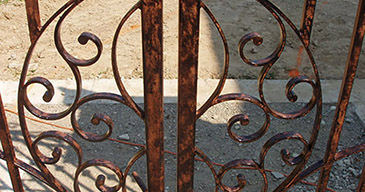 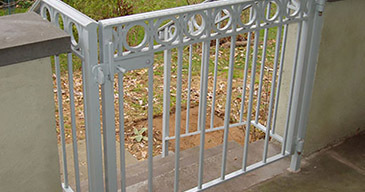 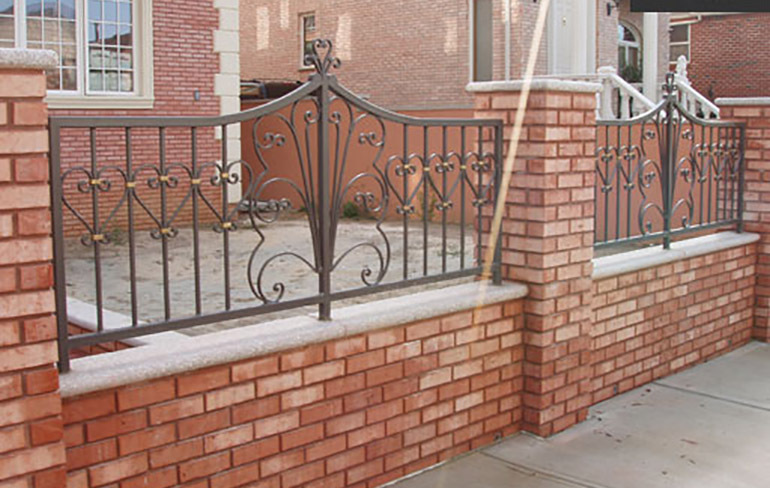 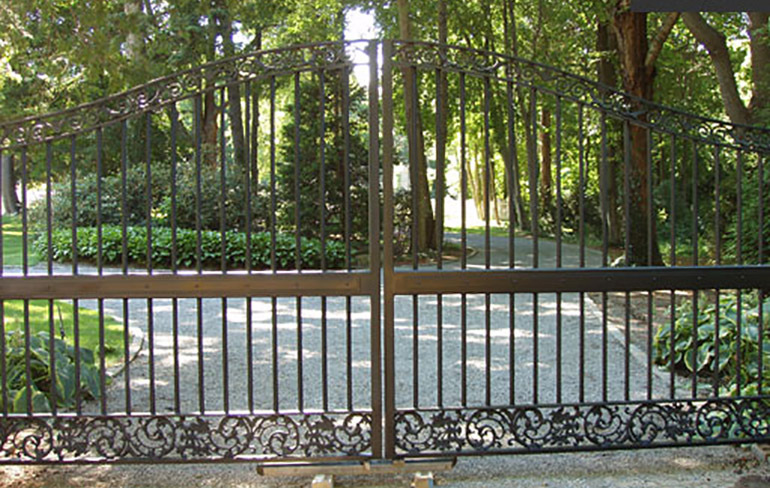 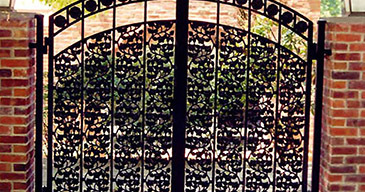 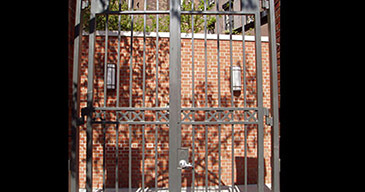 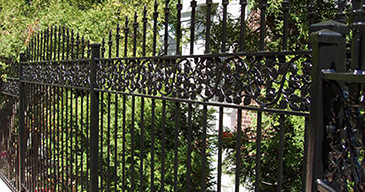 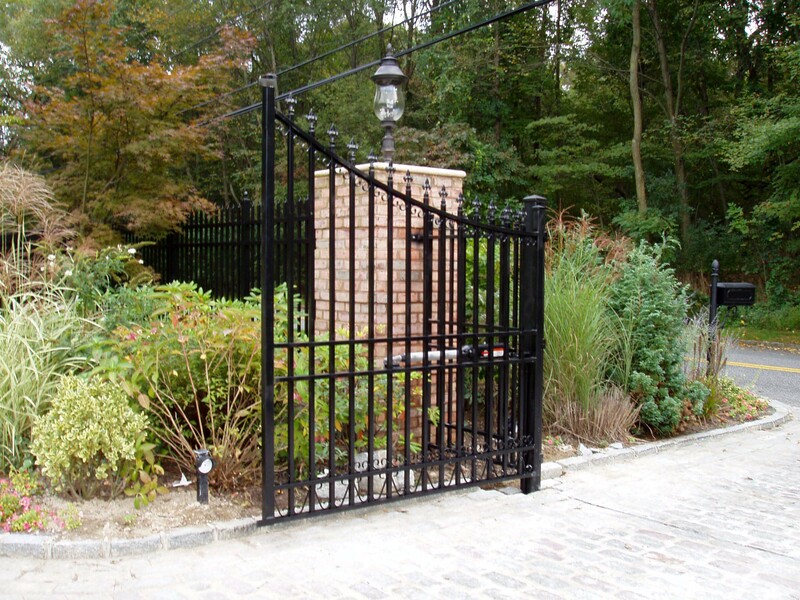 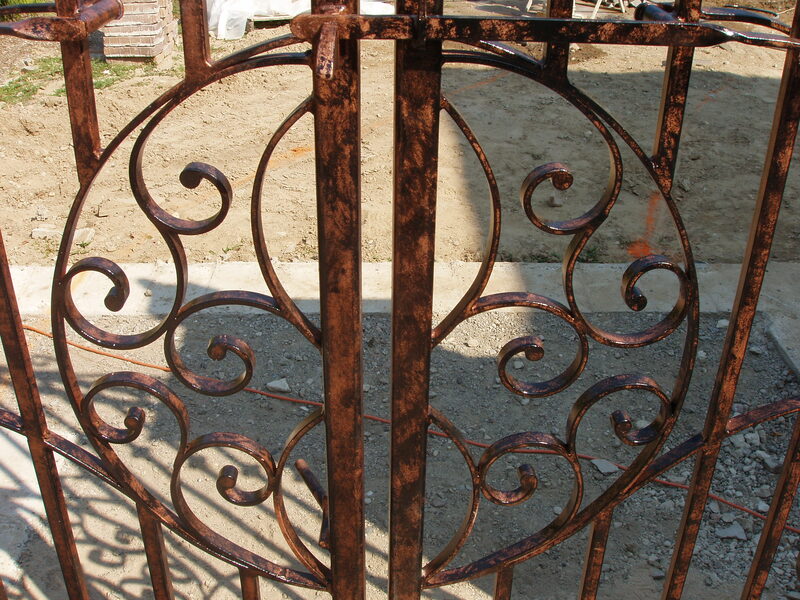 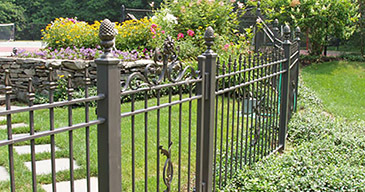 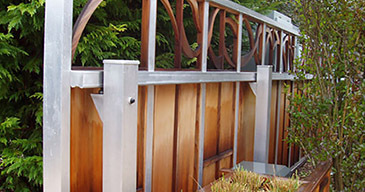 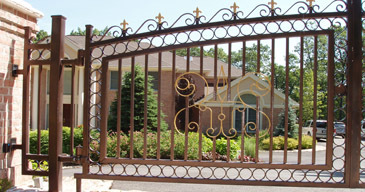 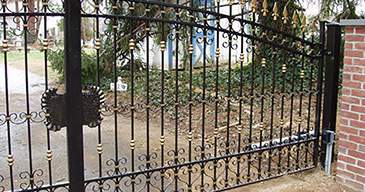 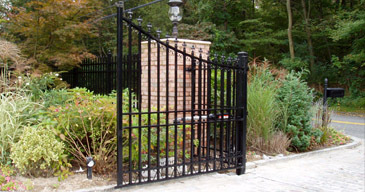 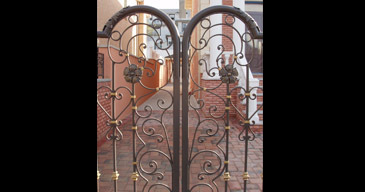 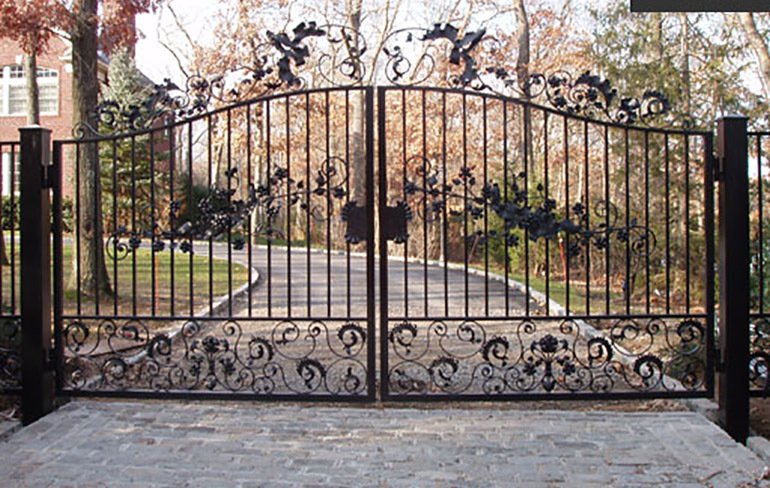 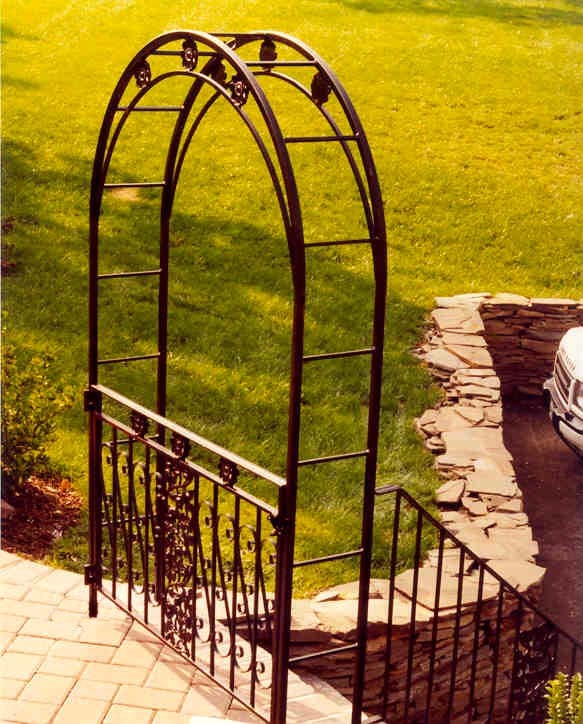 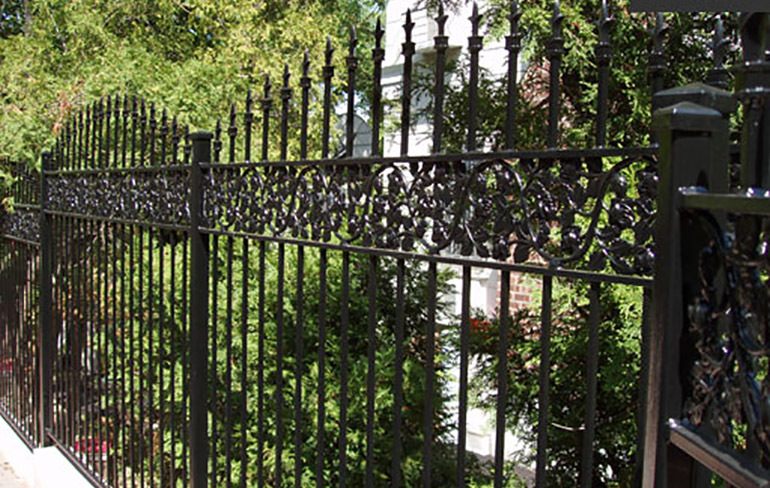 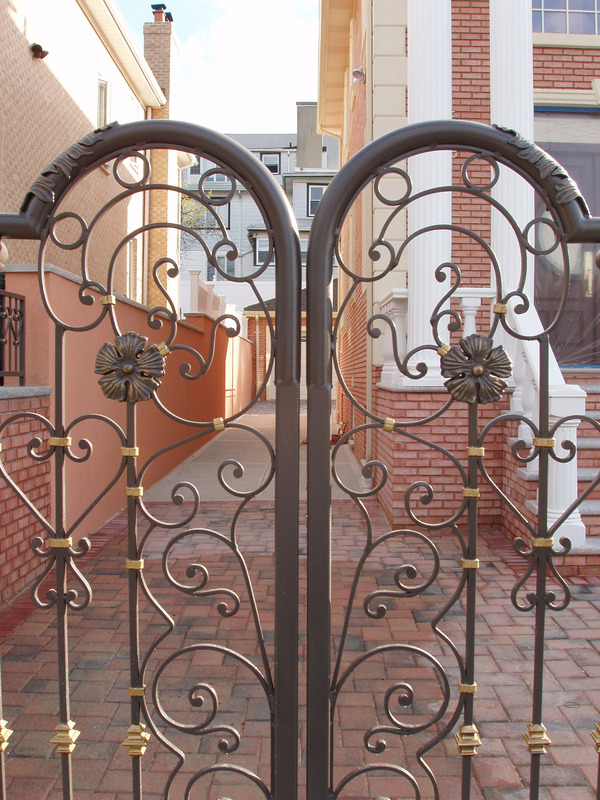 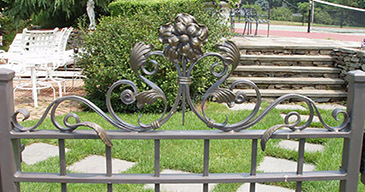 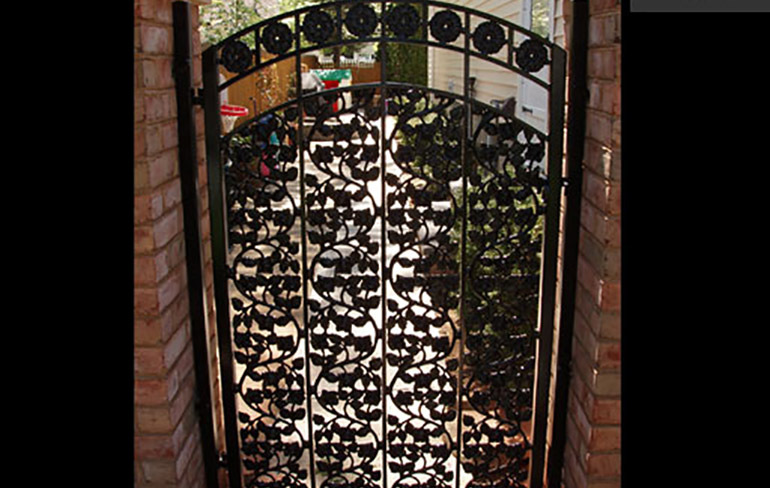 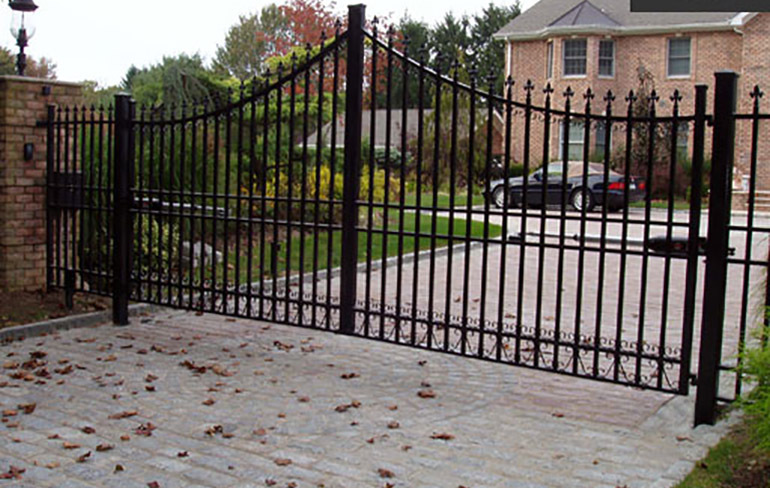 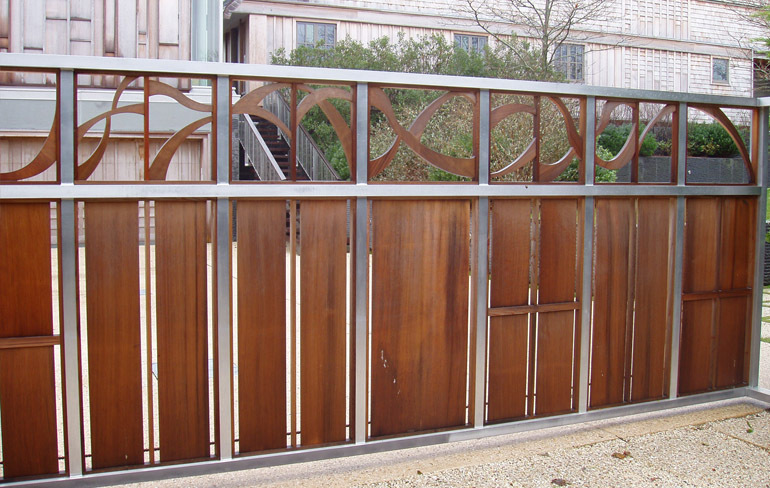 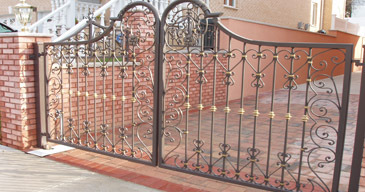 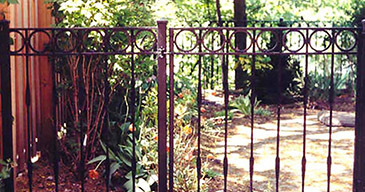 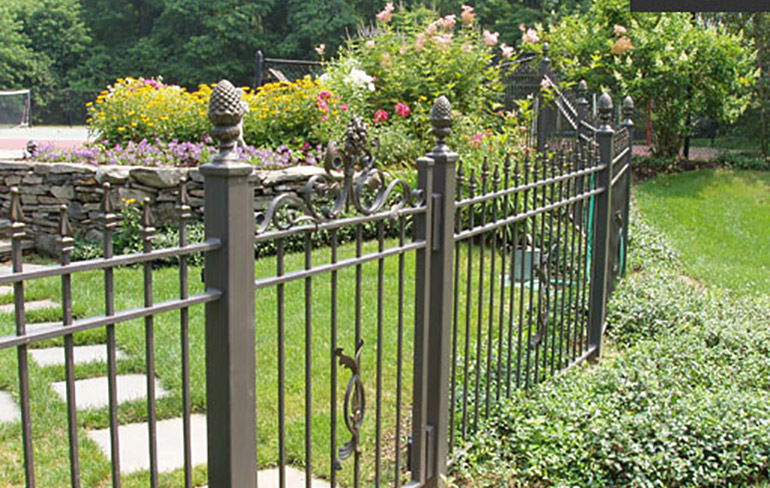 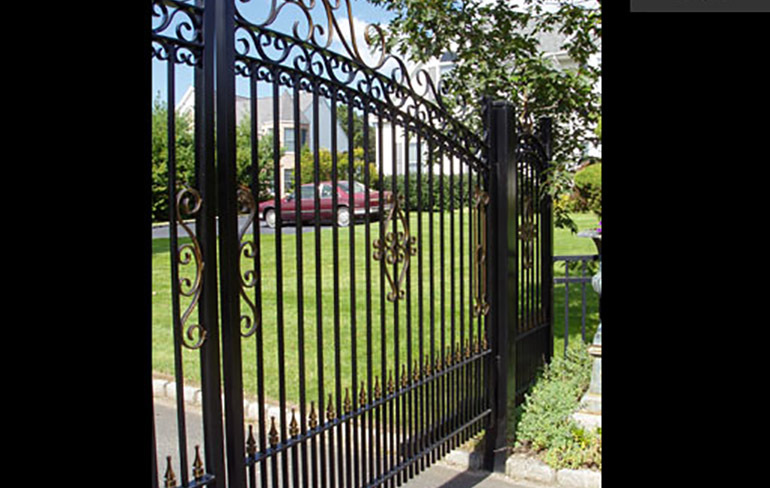 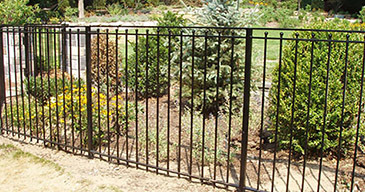 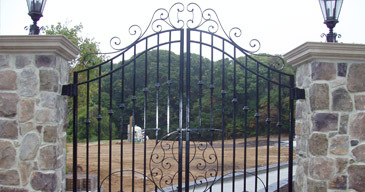 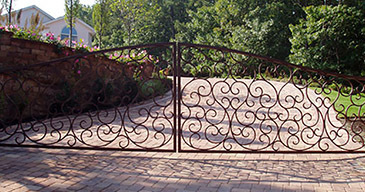 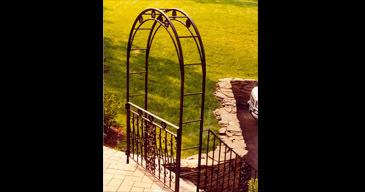 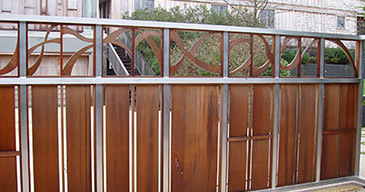 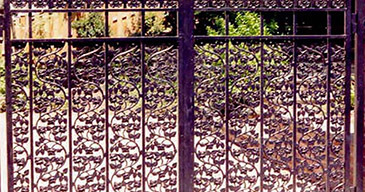 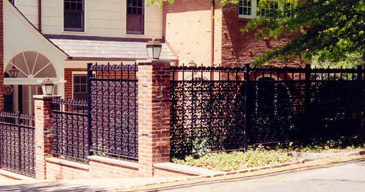 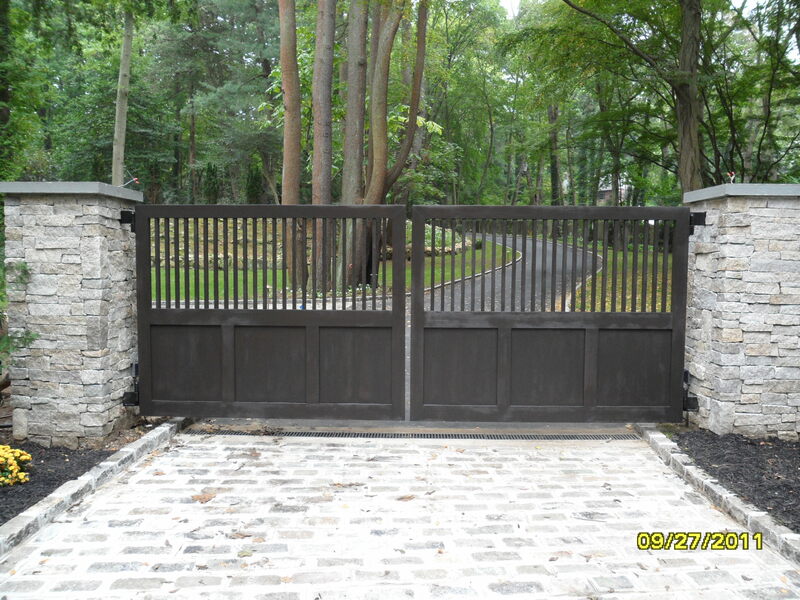 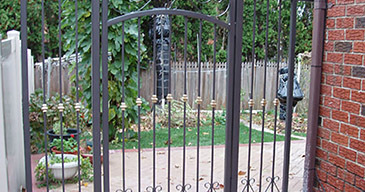 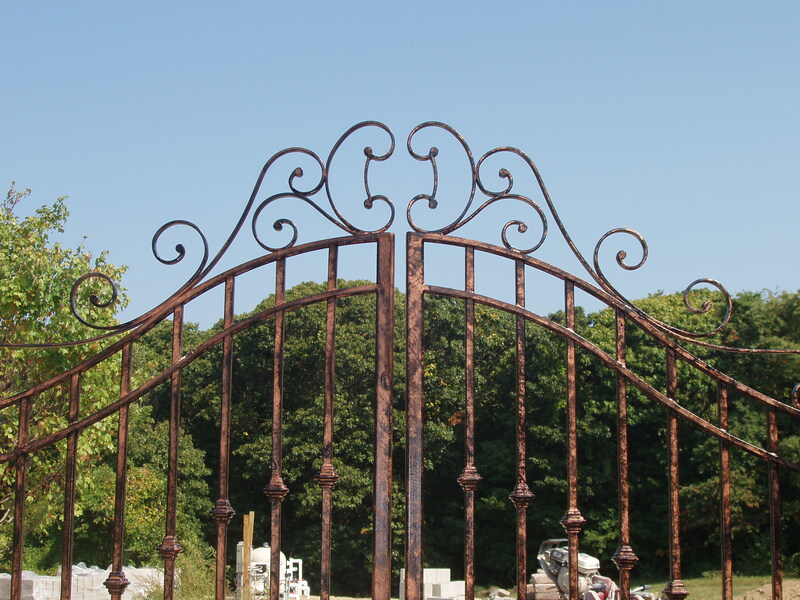 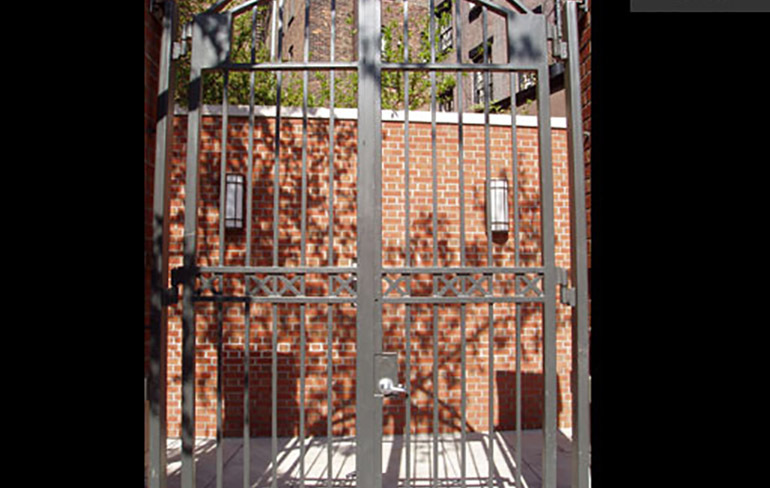 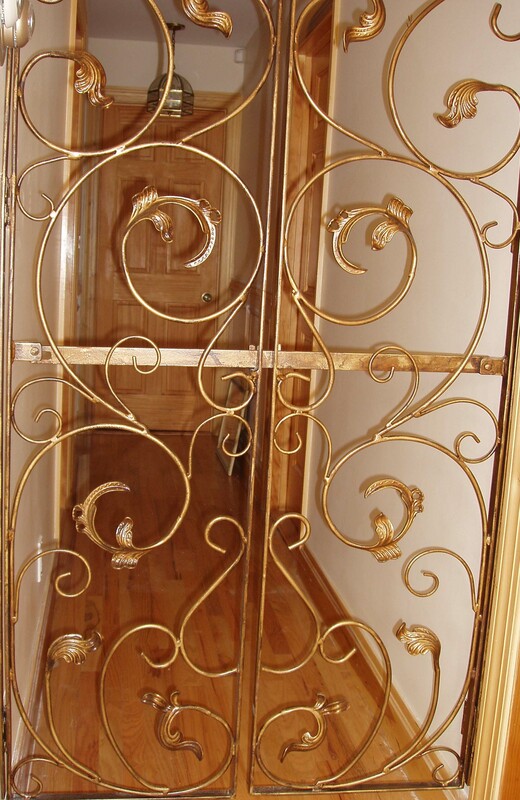 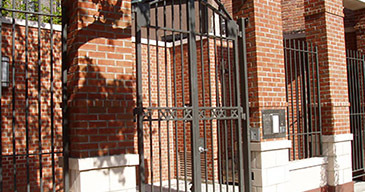 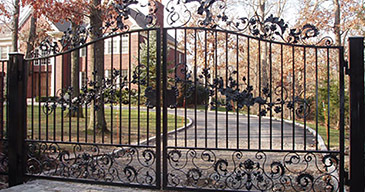 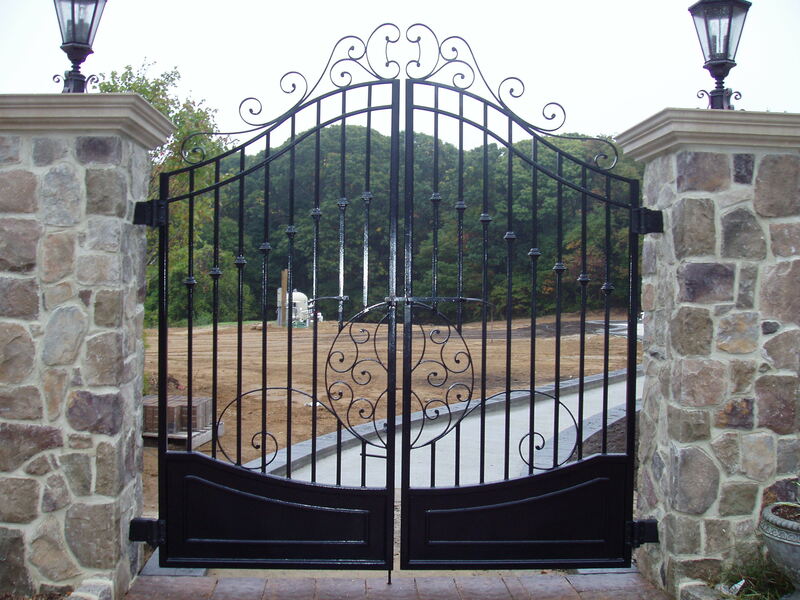 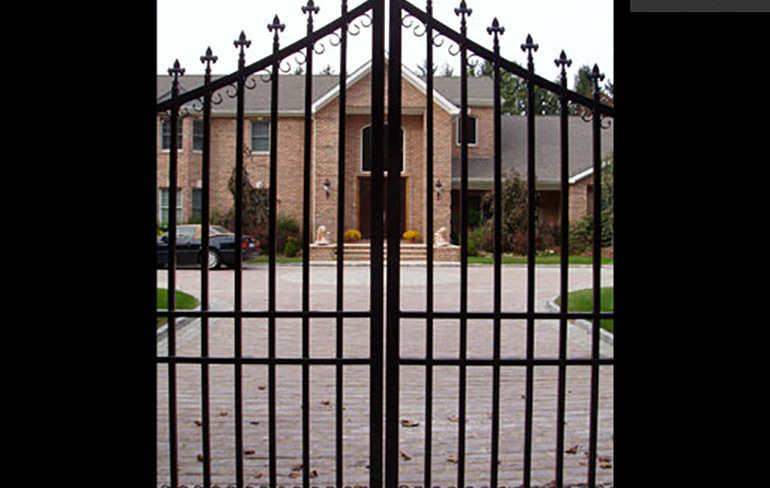 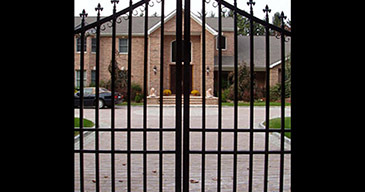 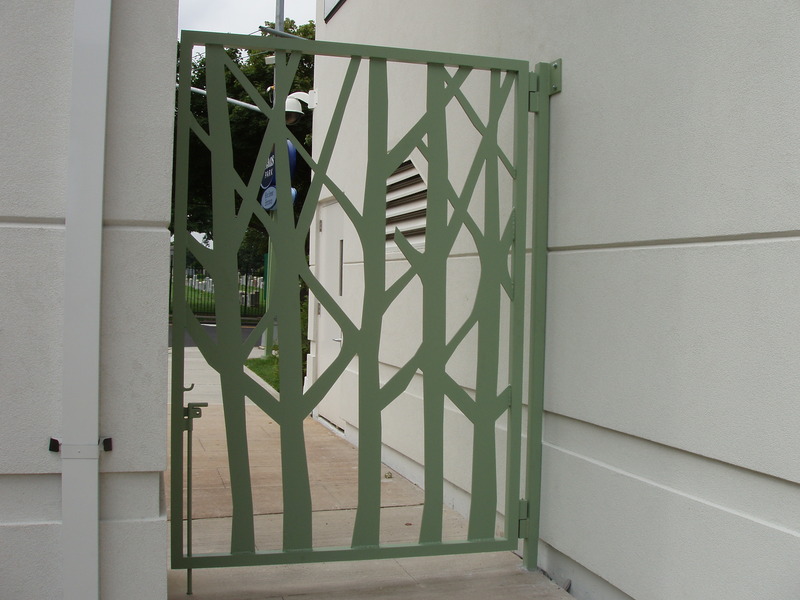 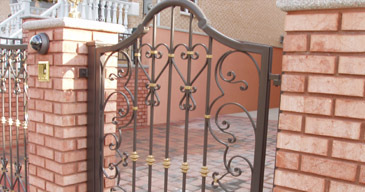 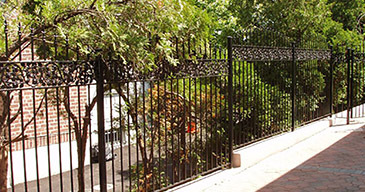 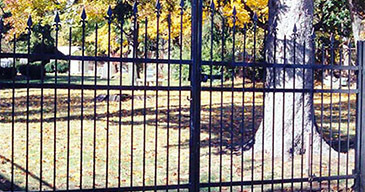 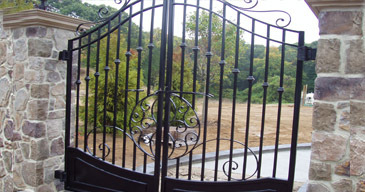 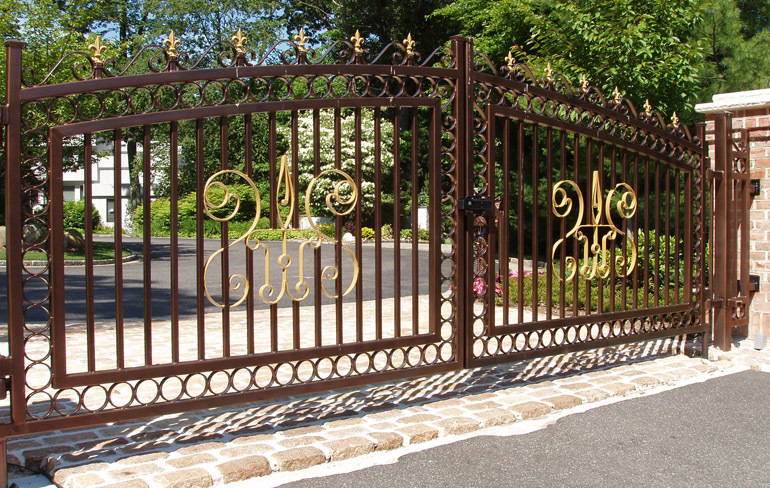 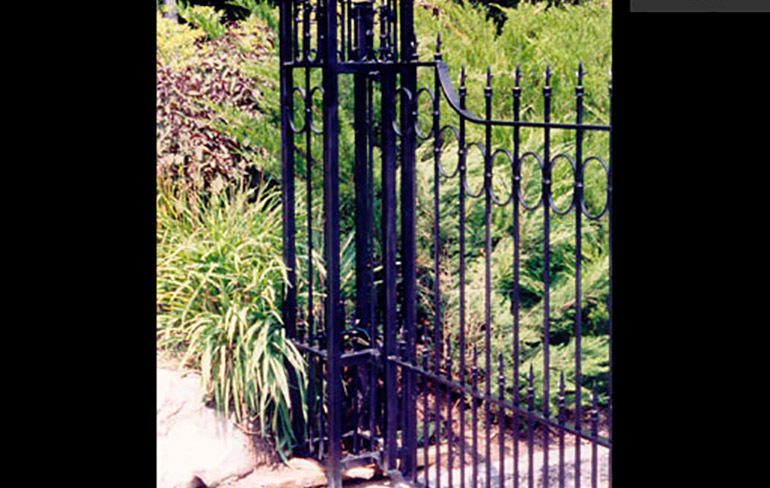 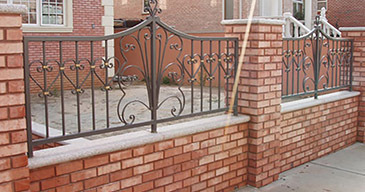 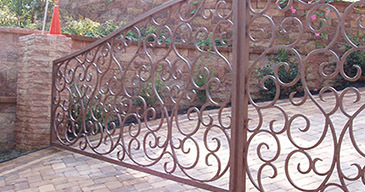 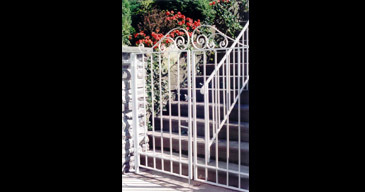 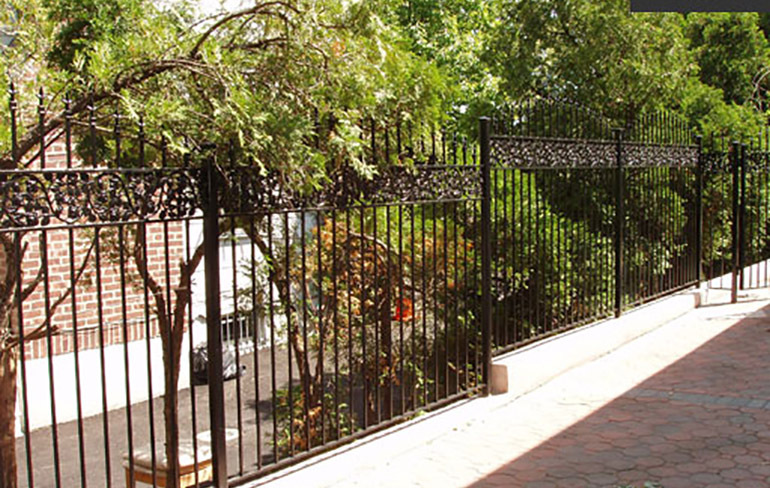 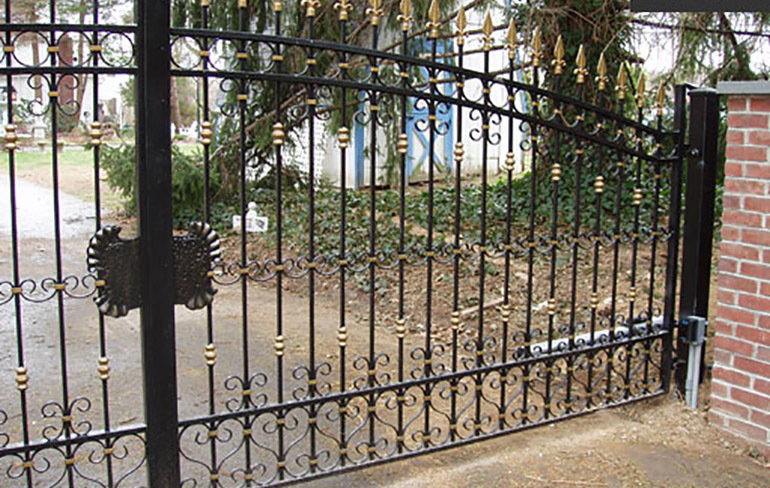 Euro Metalsmiths also custom designs iron gates and fencing. 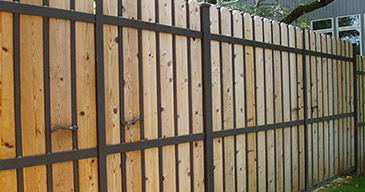 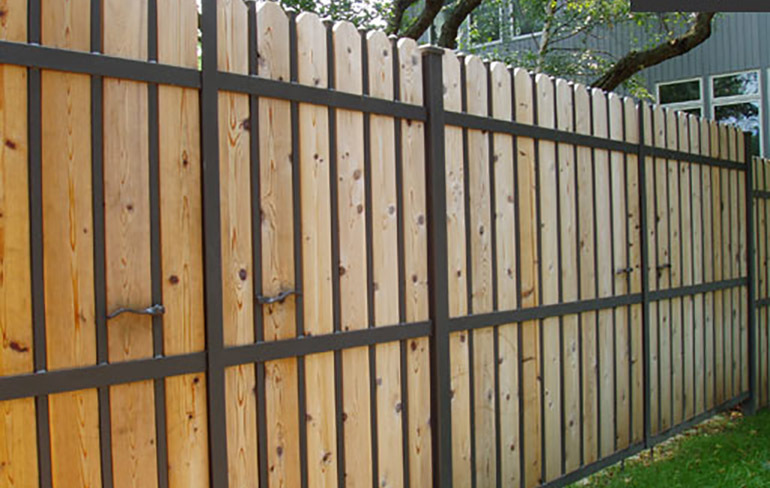 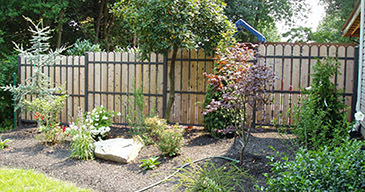 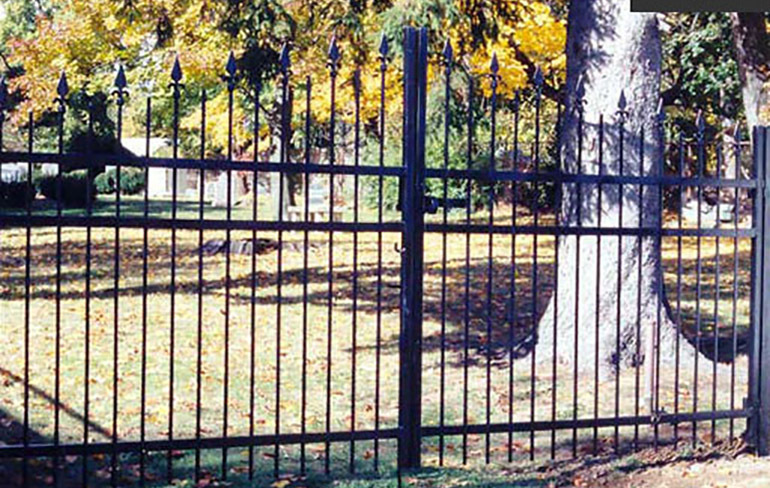 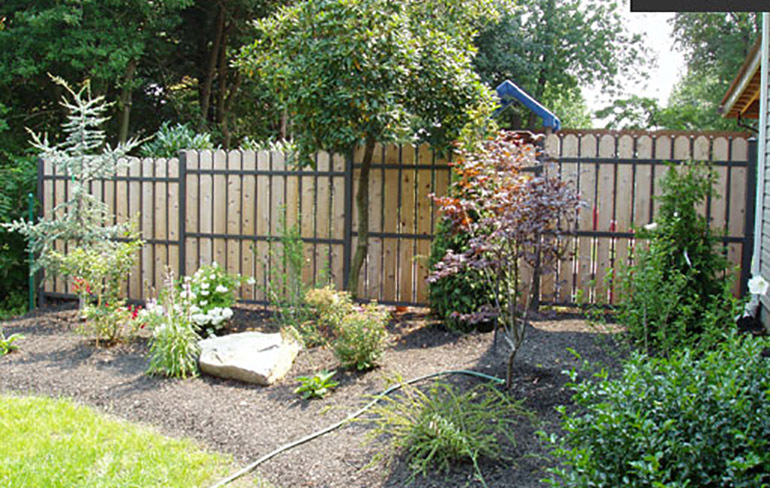 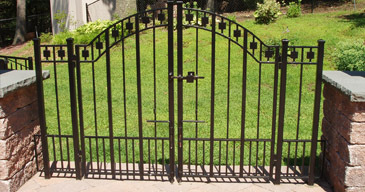 Custom designs and sizes are where we separate ourselves from the competition; we can accommodate all your gate and fencing needs. 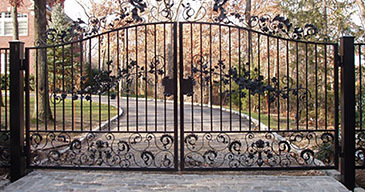 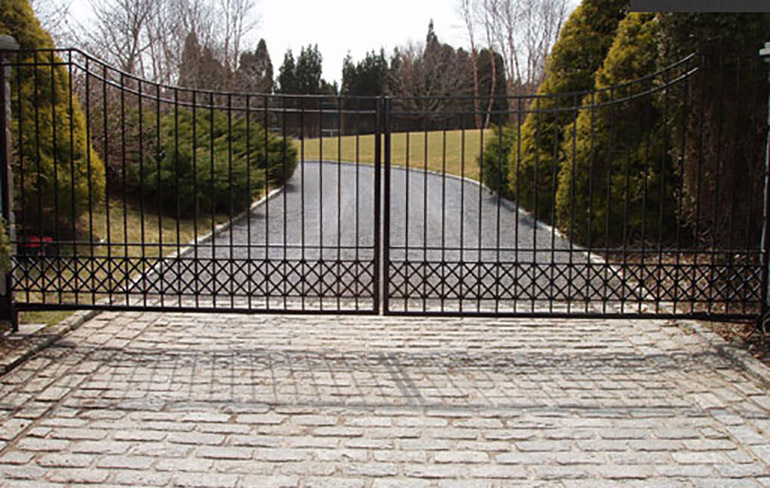 From decorative walk gates to conventional driveway gates, we never fail to deliver on fabricating the custom gate of your dreams.